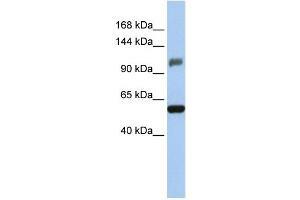 Characteristics This is a rabbit polyclonal antibody against ZSCAN20. It was validated on Western Blot using a cell lysate as a positive control. Background ZSCAN20 belongs to the krueppel C2H2-type zinc-finger protein family. It contains 10 C2H2-type zinc fingers and 1 SCAN box domain. ZSCAN20 may be involved in transcriptional regulation.